influencing gardens across the UK. 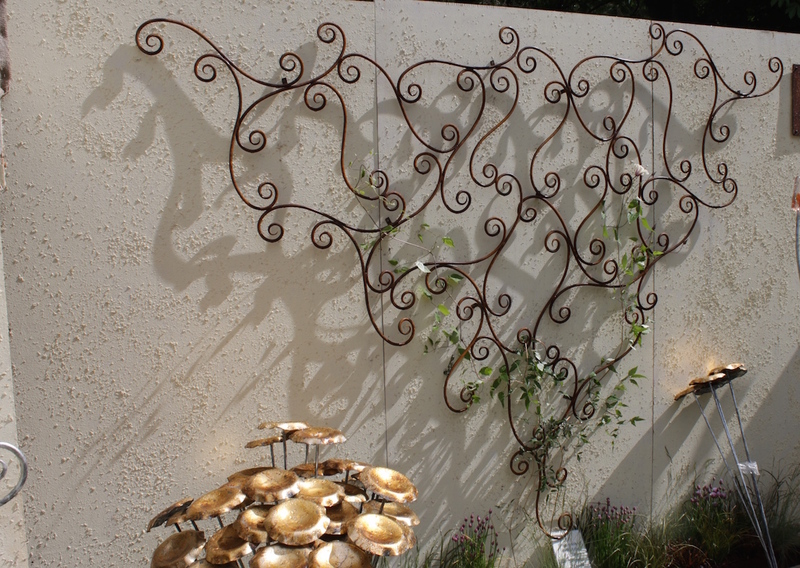 When we started explored creative metalwork we knew instantly this was the work for us. Working with white hot steel, learning its subtleties while watching it cool and bend has facilitated a fine tuning of the senses and is experienced as a love of work and life, and the dance between the two. Whether it’s exploring new designs or sweeping the workshop floor at the end of the day, our work is a continuous process of learning and discovery. We feel privileged to have found work that inspires us and get immense pleasure turning that inspiration into a sustainable business, bringing fresh, innovative and proudly British designs to the marketplace. When you buy handmade, you interact directly with the maker who is not, “only in it for the money”. At The Gilded Garden we have a pride invested in every product we make and every customer interaction we have. We are deeply invested in a process of revising our economic model to one that rewards hard work, talent, creativity, initiative and personal responsibility. We are proudly based not far from Frome in Somerset. The surrounding area provides us with lots of inspirations for our Craft. Some of our work can be found in the lovely setting if the Walled Garden at Mells.